It’s an Election Year … Now What? The 2018 Midterm elections are already shaping up to be one of the most-watched midterms in the last few decades. We at Classroom Law Project are pleased to offer you a series of lessons targeted to middle and high school level grades to help you and your students sort through this year’s election issues. We hope these materials will prompt critical thinking and meaningful conversation in your classroom, and that this year’s election will be an event with which all students will engage. We’ve designed each of these units and lessons to be stand-alone and to work together, so you can pick and choose which will work best for your students. We’ve also included the new Oregon Social Studies standards as well as CCSS Literacy standards that connect to the lessons. The entire series of lessons culminates in the final unit with a mock legislative hearing in which you can involve members of the community. Students will be able to demonstrate the knowledge and skills of active, informed community members. All students “testify” before a “legislative committee” made up of community members you invite into your classroom. All of the how-to’s are included here for you to create this fun and memorable experience for your students. Lesson 1.1 – How do we hire a Governor? Lesson 1.2 – What are the qualities of a good governor? Lesson 1.3 – Who are the 2018 major candidates for Oregon governor? Lesson 2.1 – How does direct democracy work in Oregon? Lesson 2.2 – Measure 105 – Should Oregon be a sanctuary state? Lesson 3.1 – What is the history of Voting Rights in the U.S.? Lesson 3.2 – What is Gerrymandering and how does it affect voter rights? 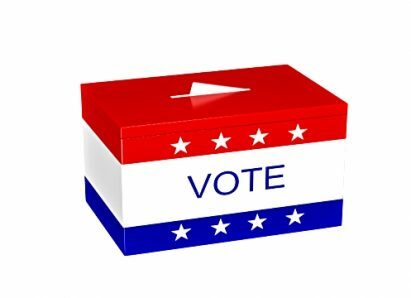 Unit 4 – Why Should Americans Vote? Lesson 4.1 – Political Socialization: What makes voters WANT to vote? Lesson 4.2 – Voter Turnout: Why don’t more people vote?